Our Milky Way galaxy is littered with the still-sizzling remains of exploded stars. When the most massive stars explode as supernovas, they don’t fade into the night, but sometimes glow ferociously with high-energy gamma rays. What powers these energetic stellar remains? NASA’s Nuclear Spectroscopic Telescope Array, or NuSTAR, is helping to untangle the mystery. 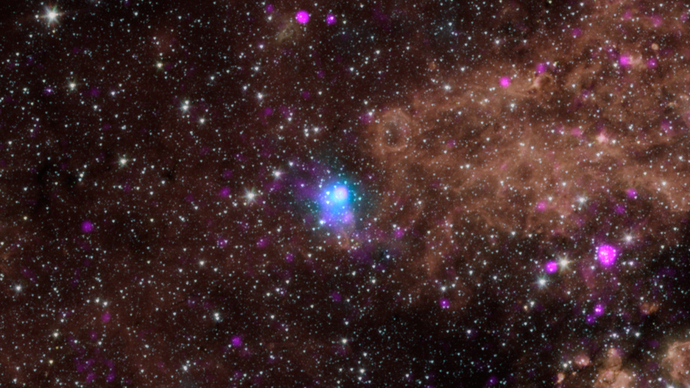 The observatory’s high-energy X-ray eyes were able to peer into a particular site of powerful gamma rays and confirm the source: A spinning, dead star called a pulsar. Pulsars are one of several types of stellar remnants that are left over when stars blow up in supernova explosions.